E não é que é tal e qual o que vivi aquando da aquisição do meu primeiro leitor de CD? E o resto da narração também é maioritariamente coincidente. Or that's what I wished for. A few minutes into listening to my first CD, my heart sank. It certainly sounded different—but not dramatically better than an LP. I was confused. Maybe it comes down to this: Making gear that's more accurate and/or measures better isn't the same as making better-sounding gear. Today's best gear can play louder, with lower distortion, and has wider bandwidth than the best of yesteryear's "Recommended Components." That's true, but a hi-rez file of a new recording can't match the bloody realism of a 1960 RCA Living Stereo LP played through a well-set-up turntable, 1980s-era electronics, and a pair of Quad ESL or Klipschorn speakers. Sure Vinyl may not possess the ruler flat frequency response that digital has, but it is not in the frequency domain that vinyl excels: it is the time domain. 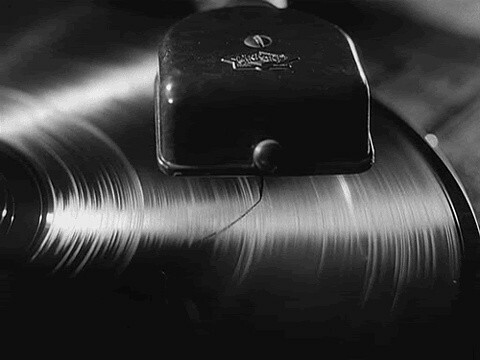 Vinyl is a great source because its impulse response is excellent, the movement of the needle creates a near instantaneous electrical signal. This is what many hear as real dynamics!